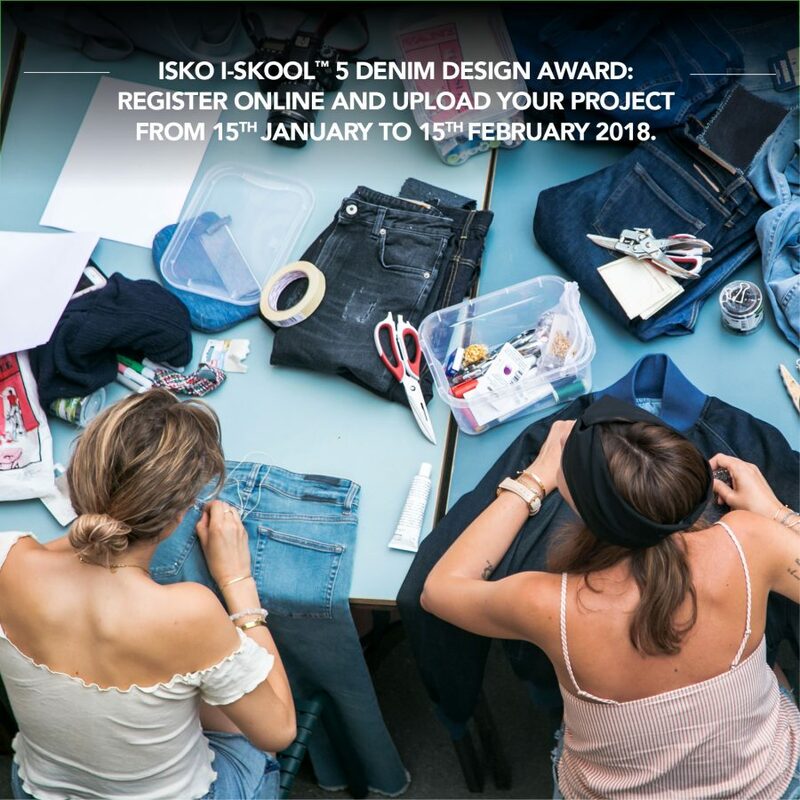 ISKO I-SKOOL™ 5 Denim Design Award at the starting blocks: register online and upload your project from 15h January to 15th February 2018. 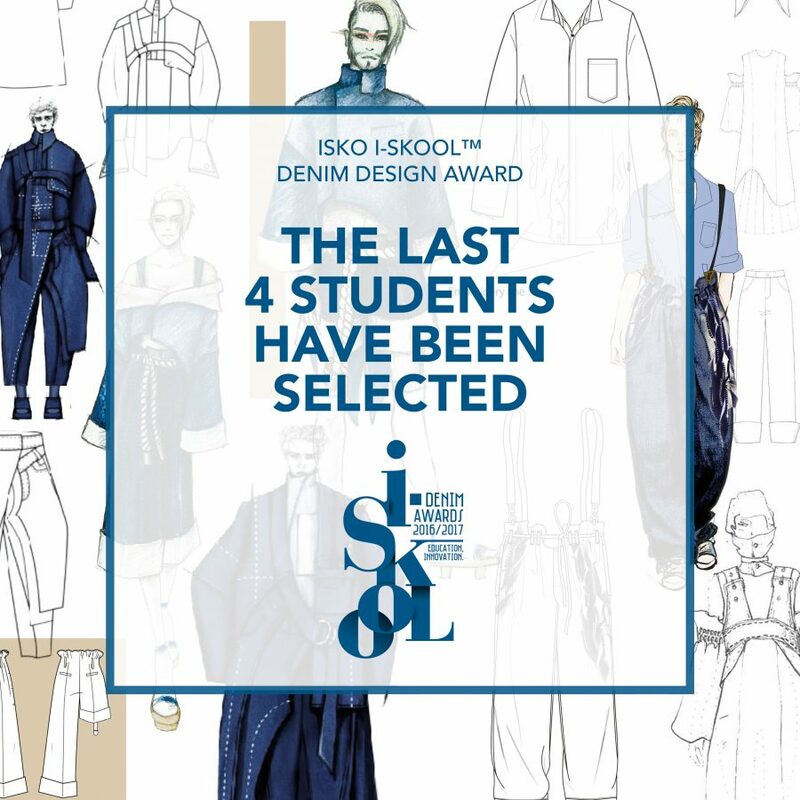 The ISKO I-SKOOL™ 5 Denim Design Award is entering its crucial phase. 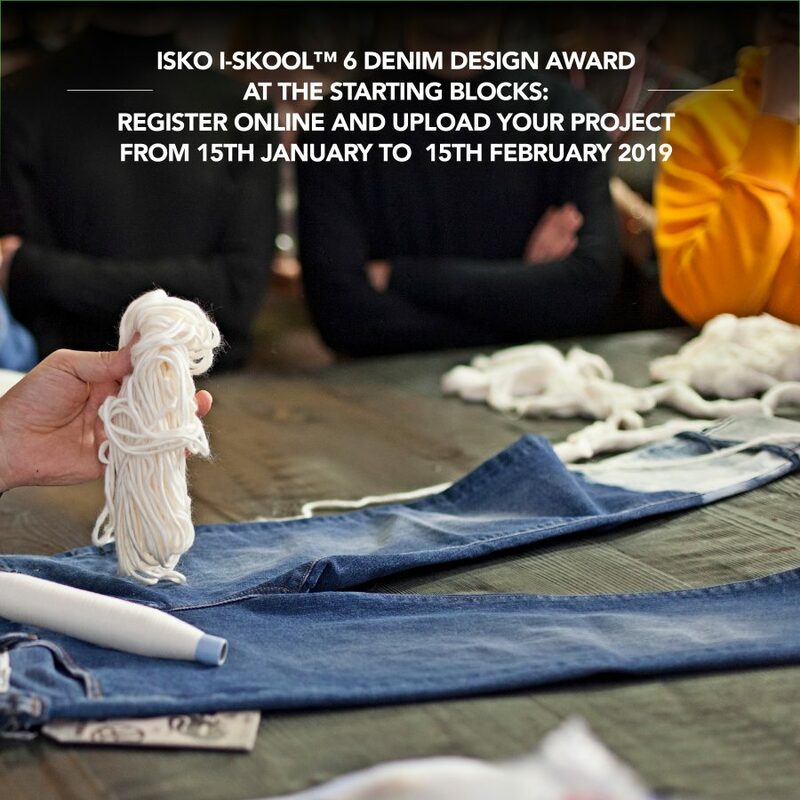 From January 15th, in fact, students and schools can start register online and upload the projects to be shortlisted for the final phase of the Denim Design contest. 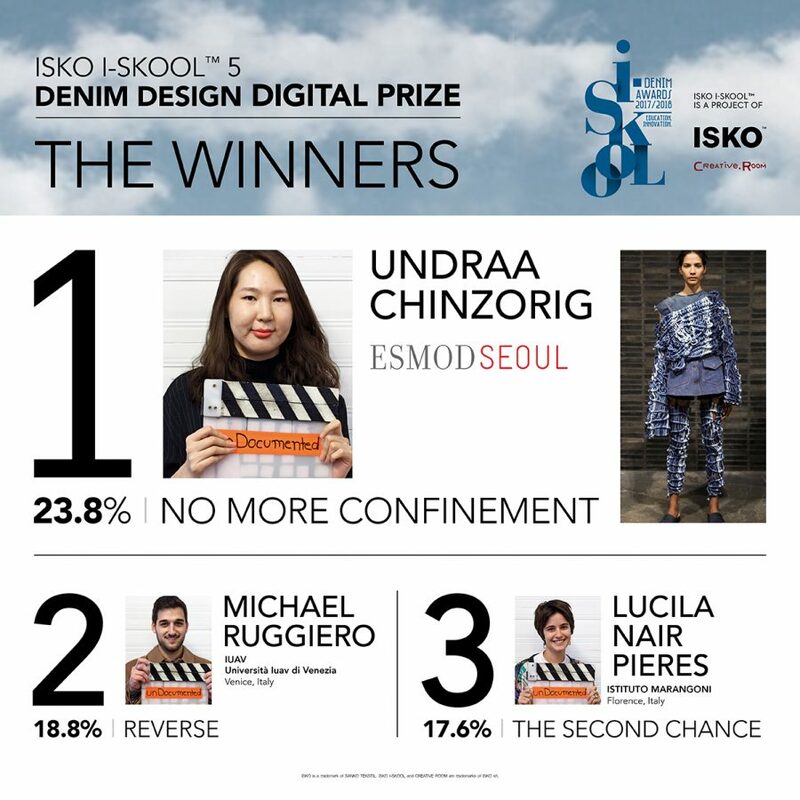 ISKO I-SKOOL™ DENIM AWARD reveals the lasts 4 shortlisted students to take part in the final stage of the brand-new edition of the Denim Design Award, that will take place in Milan on July 11 and 12. Help us decide what will be the next denim hit. 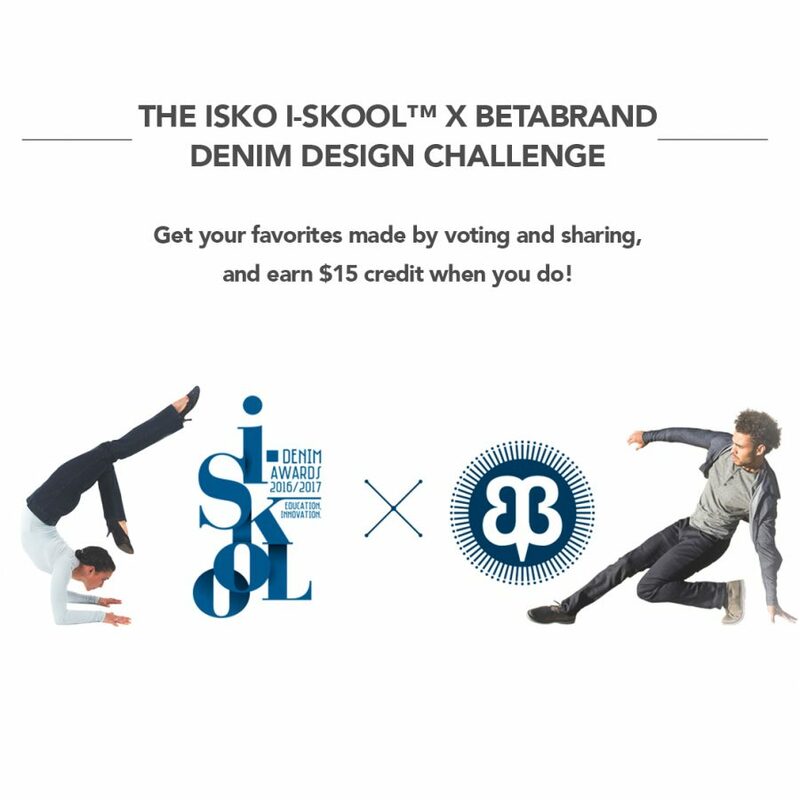 Visit the unique Betabrand crowdfunding platform, vote for your favorite design project amongst the ISKO I-SKOOL™ 4 Denim Design Award shortlisted students, and get up to $15 in store credit sending the link to a friend or sharing it on social media. 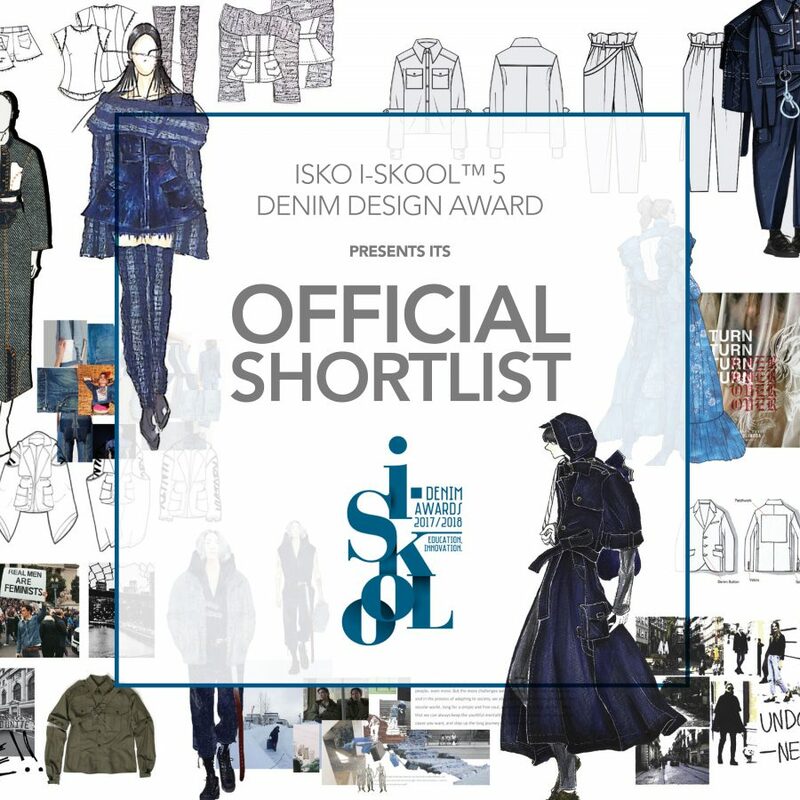 ISKO I-SKOOL™ : First finalists of the Denim Design Award have been shortlisted! Breaking news on ISKO I-SKOOL™ 4th edition. 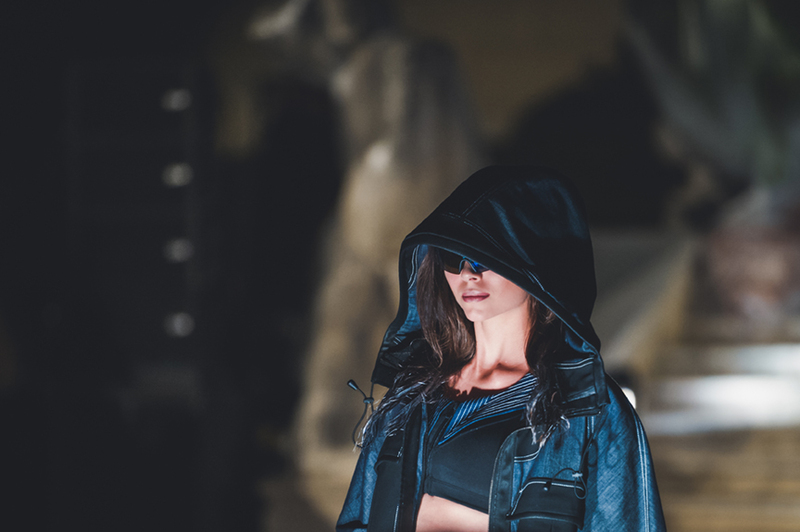 Finalists of the fourth edition have been shortlisted! 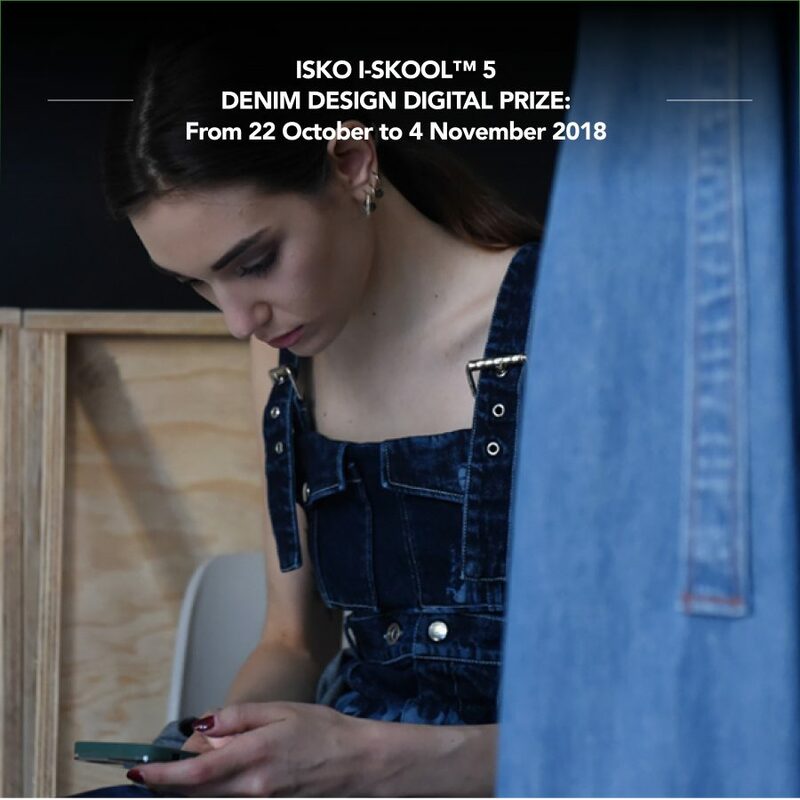 Fourteen talented students have been selected to participate as finalists in the fourth edition of ISKO I-SKOOL ™ Denim Awards.